We are manufacturing & supplying of Isolation Transformer from Noida. 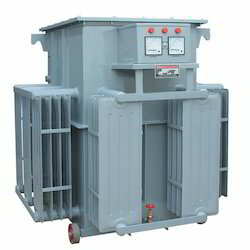 We are capable to manufacture a range of isolation transformers that are mainly used for decoupling of two circuits. Our range of transformers are successfully meeting the requirements of various industries such as electrical, mechanical, automobile, cement and other industries. Available in various specifications, these industrial isolation transformer and high voltage isolation transformer are in conformation with the ISS/REC standards. We offer a range of isolation transformer that are mostly used for decoupling of two circuits. It assists in shifting the power from one signal to other to without connecting the two circuits electrically. The perfect role of our range of isolation transformer is to use as power transformer and safety precaution. However, the bonding is eliminated completely, in case of isolation transformer.